History is in the making! We are at the brink of battle! On this Sunday at 20:00 CEST, the first SBWI Team League cast will start and for the first time will the world witness the slaughter that we are proud to call clan wars. Long have we waited to see teams like sas., iFU., LRM), [AoV], sB/PaiN and iwL- battle on the fields of glory, and we salute the brave newcomers of iM) and LagFree to join the slaughter! The money will come and go, but the honor of winning the very first STL will echo in eternity! This is going to be RAW. This is going to be BRUTAL. 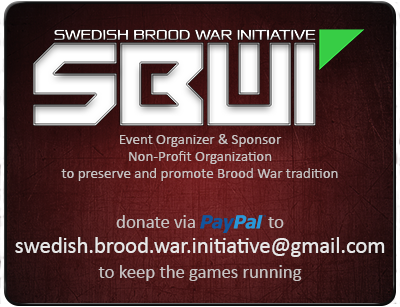 This is going to be BROOD WAR! 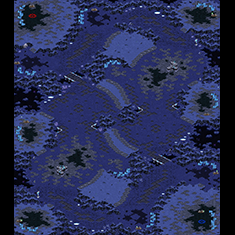 This map is a new map made by Freakling. It brings the heavy metal to the STL with inspiration from Match Point while still having the look of a Siege Tank junkyard. 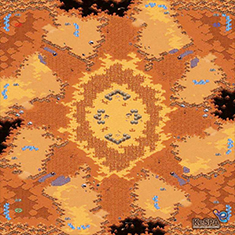 A desert map with a unique look, bringing together the neutral sunken colony and rampless main, which open up possibilities for aggressive play. But at the same time greedy play is safer than on many maps since the natural entrance is through the main. The expansion layout is most often what catches one’s eye when seeing this map for the first time. It has proven to favor the creative player and produce unorthodox games with high emphasis on air play. 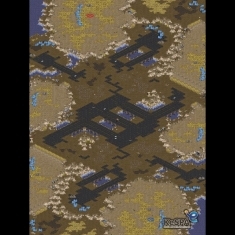 Another foreign made map, by -NegativeZero-. We tried this map in the SBWI Summer Tour, and it was a success. The map is not only beautiful but also brings some interesting ramps that dictate the game flow of this map. The classic winter map with perfect balance. It is a three player map with heavy emphasis on choke points and map division. 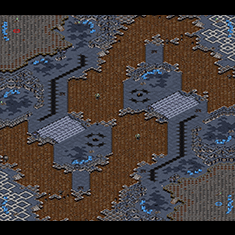 However behind the macro facade lurks the evil that is cliff drops and blocked chokepoints. The map of maps. No map is more famous and no map might deserve more to be in this tournament. It is perhaps most well known for its easily defended thirds, which tend to promote some greedy play, and the easily harassed naturals which give us aggression. As our ace map we have chosen to go with good ole’ Desti. 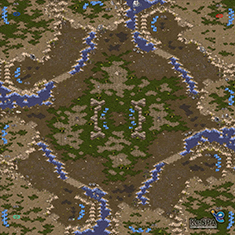 It is a map of legendary proportions within the foreign scene. 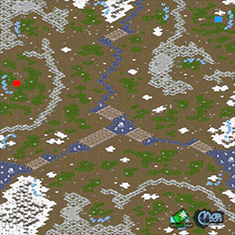 It is the map where White-Ra beat Boxer and countless other epic foreign games . It offers great macro abilities along with some of the most innovative aggressive strategies. The format of the group stage will be 6 Bo 1 + ace match. Each teams play each other one time in the group stage. If two teams are on the same score before playoffs, number of losses will determine the winner. After the group stage, the top four teams will advance for the playoffs. The winner of the group stage will face the fourth team, the runner-up will face the third team. To generate a high level of participation in the tournament there will be 15% allowed W.O. sets per team in the tournament. This will be 15% of the total amount of games that each team play in the group stage. The exact number is therefore determined by how many teams sign up. This number will be rounded in standard arithmetic manner and presented when all teams have signed up. Out of these W.O:s, 2 will be allowed in the playoffs, the rest in the group stage. This will generate a reasonable amount of W.O. sets allowed for teams, independent on how many teams sign up. If we just put down a single amount of W.O. sets allowed, we could get into a bad situation where teams have unrealistic number of W.O:s.
Before each match, the team captains will hand in a numbered list of players (six + ace player) and one joker player. The player names should be their official nicknames with clan tag and should stay identical throughout the tournament. If the nicknames given by the captain do not correspond to the nicknames being used, it will count as a smurf. No player may play more than once, except for the ace player. If a player does not sign in after 15 minutes, the joker player must be ready to step in. The joker player can replace any player in any match according to captain decision. If no joker player is ready within 5 minutes after that, an automatic W.O. will take effect. The joker player is allowed to be an ace player, and can only replace one player. If a captain wants to send a joker, he whispers this to the referee before the actual set. The first three games are played simultaneously, the rest of the games played as they come unless captains wish otherwise. AoV, prepare yourself. Although any preparation is futile, sB/PaiN will easily destroy you! teams only play every other week? whats with that..
casters can't cast possibly 28 games in one day. 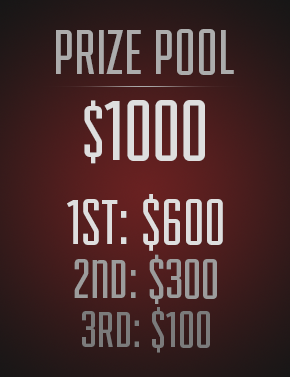 Will there be Liquibet for this? Sziky LRM? What has the world gotten into. I see Bibiane and Fengzi :o. Plz tell me they're gonna play, pleassssseeee. Get hyped Michael makes his return! also are there any policys about streaming games and casting for your own?